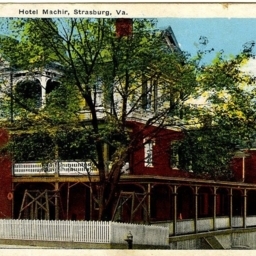 Postcard showing a picture of the Hotel Machir in Strasburg Virginia. 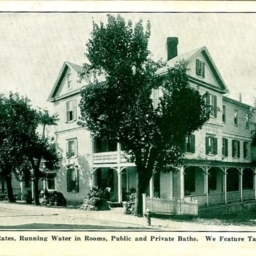 The card notes the site had resonable rates, running water, tasty food, and private baths. Today it houses the Strasburg Library. Color postcard with a picture of the Hotel Machir in Strasburg Virginia.